While protesters in Libya are attacked by armed insurgents the country is met with the UN resolution on no-fly zone and expanded sanctions. Bahrain’s security forces shoots down unarmed civilian demonstrators in the streets, breaks into private homes and have blocked the country’s largest hospital – where doctors cannot escape and patients cannot get in. But still Bahrain’s brutal ruler Hamad al-Khalifa and his regime is not brought before the UN Security Council. Maybe it’s because this is a country that both the West and the Arab world need. UN Secretary General Ban Ki-moon has expressed his deepest concern for what is happening in Bahrain and EU and NATO has asked authorities in the country to refrain from violence and resolve problems in the country through political dialogue. The attack on demonstrators in Manama and other cities Wednesday was extremely brutal and reminded of Kadhafis forces. 6 people were killed and hundreds must have been injured. But the most serious is the situation at Salmaniya Hospital in the capital Manama, Bahrain’s largest and most modern. For some reason, the authorities found that the staff of this hospital is the demonstrator’s supporters – and must be punished – in a manner that violates everything called human rights. Now, sick people, whether they are shot or are acutely ill, brought to smaller hospitals with equipment that in many cases is not good enough to take care of their injuries. The government cares little for so long as the world is most concerned with Kadhafi. What makes Bahrain so special? As a small island in the Persian Gulf, the island is strategically important to the oil-rich area. With growing criticism of the U.S. presence in Saudi Arabia, Bahrain has become more important and with such U.S. interests, the country has also importance in the NATO context. The Sunni Muslim King Hamad is a good ally of the West, so he has a far greater scope in terms of violence than less good friends. So it is just. But Bahrain is also important for the Arab countries, not least for the six members of the Gulf Council GCC, in which Saudi Arabia plays the lead role. Golf Council cooperates politically, militarily and economically. In the geopolitical game is primarily one enemy you are interested in, and it is Iran. Nearly 70% of the citizens of Bahrain’s Shiite Muslims, but Arabs . The possibility that they will team up with their Persian-Iranian co-religionists is small, but this argument is used as a pretext for the necessity of maintaining “stability” in Bahrain. Saudi Arabia has in principle a more urgent problem. The majority of the population in the oil-rich Al-Hasa province in eastern Saudi Arabia’s Shiite’s and the Saudi royal family fears a spillover effect from Bahrain. It is perhaps the main reason that the country Monday sent 1,000 soldiers to Bahrain to help the King Hamad to quell the revolt. Introduction: Eid-e-Milad is celebrated in the memory of Prophet Muhammed. 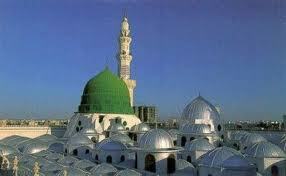 The Holy Prophet was born on the twelfth day of Rabi-ul-Awwal in 570 C.E Saudi Arabia, Mecca. Rabi-ul-Awwal is the third month of the Muslim year. 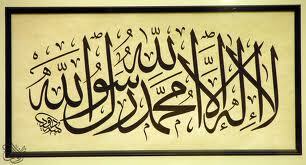 Eid-e-Milad is both, a time to rejoice and a time to mourn, since the Prophet passed away on the same day. History of Celebration: The tradition of celebrating the Holy Prophet’s birthday on a large scale began in Egypt by the Prophet’s descendants, through his daughter Fatima. It was celebrated mainly by religious scholars and religious establishments. They gathered to hear sermons, distributed sweets, alms and particularly honey, the Prophet’s favorite. Maulid: Eid-e-Milad is also called Maulid, since it is Prophet Muhammed’s Eid andthe song sung in praise of the Prophet’s birth is called a Maulud. From the Middle Ages, it was believed that, listening to the recitation of Maulud has not only worldly but heavenly rewards too.The earliest accounts for the observance of Mawlid can be found in eighth-century Mecca, when the house in which Muhammad was born was transformed into a place of prayer by Al-Khayzuran (mother of Harun al-Rashid, the fifth and most famous Abbasid caliph). The early celebrations included elements of Sufic influence, with animal sacrifices and torchlight processions along with public sermons and a feast. The practice spread throughout the Muslim world, assimilating local customs, to places such as Cairo, where folklore and Sufic practices greatly influenced the celebrations. By 1588 it had spread to the court of Murad III, Sultan of the Ottoman empire. In 1910, it was given official status as a national festival throughout the Ottoman empire. Today it is an official holiday in many parts of the world. Barah Wafat: This festival is also referred to as, ‘Barah Wafat’ which stands for the twelve days of sickness of the Prophet, before he passed away. The day is for both mourning and celebrating. The Sunni sect and the Shia sect have a different take on the ways of celebrating of this day. Celebrations by Shia Muslims: Shia Muslims celebrate this day to remember that Prophet Muhammed chose Hazrat Ali as his successor at Gadhir-e-Khumm. This occasion symbolises the Habillah (the chain of imamat or the next leader). Eid-e-Milad and Eid-al-Gadhir are two names for marking the same day, for two different reasons. 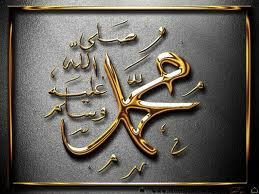 Eid-e-Milad or Eid-e-Milad-un-Nabi – This name is used to mark the Prophet’s birth and death anniversary. On this day, believers gather to recite special prayers for thanksgiving to Allah for his favours and sending Prophet Muhammed to the world, with his message to guide the people. People attend lectures and recitations on the Life and Instructions of the Holy Prophet. Poetry or Naats are recited after prayers and sweets are distributed amongst the poor. Shia Muslims also mourn on this day as it is also the day when the Holy Prophet passed away. Bohra Muslims: a part of the Shia sect, too celebrate the twelve days of Rabi-ul-Awwal with prayers and by listening to recitals. 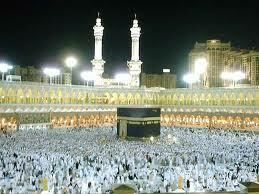 Prayers are conducted in mosques for all twelve days. Many Bohras perform Zyarat (a form of prayer that is performed as a meeting with the one you are praying to). Celebrations by Sunni Muslims: Prayers are held throughout the month. 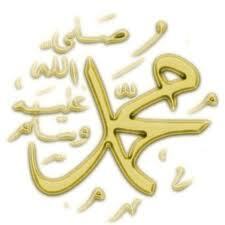 On the twelfth day of the month Muslims remember the Holy Prophet and his teachings. Mourning on this day is not practiced at all because according the Sunni Muslims believe that mourning for the dead beyond three days hurts the departed soul. In South Asia, people carry out processions chanting praises of the Holy Prophet and Imam Hazrat Ali. These processions are decorated with fruits, flowers or even scenes depicting religious sites, episodes and figures. The sweet dish ‘Kheer’ (sweet porridge made of rice) is prepared as a tradition in Muslim homes. Among non-Muslim countries, India is noted for its Mawlid festivities. The relics of Muhammed are displayed after the morning prayers in the Indian states of Jammu and Kashmir at Hazratbal shrine, on the outskirts of Srinagar. Shab-khawani night-long prayers held at the Hazratbal shrine are attended by thousands. In Pakistan’s Mawlid celebration, the national flag is hoisted on all public buildings, and a 31 gun salute in the federal capital and a 21 gun salute at the provincial headquarters are fired at dawn. The cinemas shows religious rather than secular films on 11th and 12th Rabi-ul-Awwal. Whereas in Saudi Arabia & Middle – east prayers are held, sweets are prepared and the Prophet is remembered through his words. Saudi Arabia is the only Muslim country where Mawlid is not an official public holiday. Participation in the ritual celebration of popular Islamic holidays is seen as an expression of the Islamic revival.